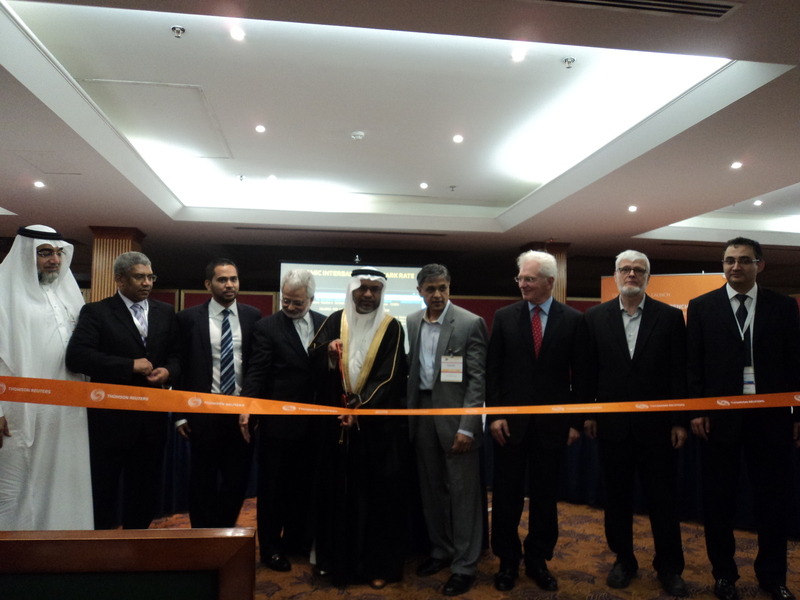 Thomson Reuters and Accounting and Auditing Organisation for Islamic Financial Institutions (AAOIFI), in association with a consortium of Islamic banks, financial industry associations, including Islamic Development Bank (IDB) and SESRIC, and a group of Shariah scholars, launched the industry's first international Islamic interbank rate, the Islamic Interbank Benchmark Rate (IIBR), offering a sharia-compliant alternative to traditional interest-based benchmarks. 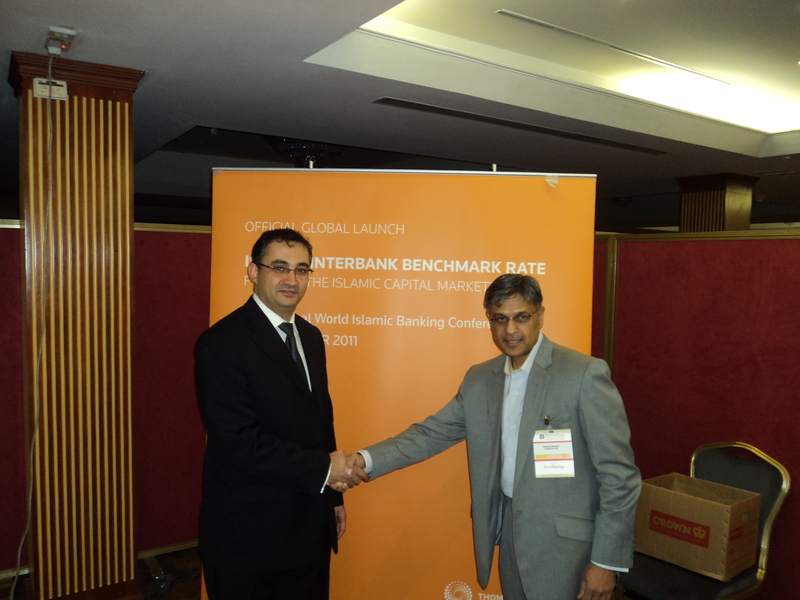 IIBR was announced officially on 22nd November 2011 during a special session at the 18th World Islamic Banking Conference, which was held on 21-23 November 2011 in Kingdom of Bahrain. Mr. Khalid Hamad Abdul Rahman, Executive Director for Banking Supervision at the Central Bank of Bahrain, inaugurated the new benchmark. The Centre was represented at the launch session by Dr. Savaş Alpay, Director General of SESRIC and Member of the IIBR Islamic Benchmark Committee, and Mr. Nadi Serhan Aydin, Researcher. “The delinking from conventional performance benchmarks started more than a dozen years ago and now we are extremely proud to offer the world’s first Islamic pricing benchmark, the Islamic Interbank Benchmark Rate” said Mr. Rushdi Siddiqui, Global Head of Islamic Finance at Thomson Reuters. IIBR uses the contributed rates of Islamic banks and the Islamic windows of conventional banks to provide a reliable and much-needed alternative for pricing Islamic instruments to the conventional interest-based benchmarks used for mainstream finance. It is the first step towards the indigenous pricing of Islamic instruments and expected to significantly enhance the transparency, visibility and credibility of the Islamic finance industry. The Benchmark’s ongoing implementation and integrity will be overseen by an Islamic Benchmark Committee of over 20 Islamic finance institutions, chaired by Dr. Nasser Saidi, Executive Director of the Hawkamah Institute for Corporate Governance and Chief Economist at the Dubai International Financial Center (DIFC), and a Shariah Committee consisting of four world-respected Shariah scholars. As a promoter of the sustainable growth and development of the OIC countries, the Centre participates in this landmark initiative as a permanent member of the IIBR Islamic Benchmark Committee. The Committee will be responsible for providing the commercial and technical advice required for proper implementation and on-going integrity of the IIBR. It will also deal closely with all aspects of the design, operation and governance of the fixing and have the discretionary power to select, admit and exclude banks for the contribution panel. The Centre will also be giving its full support for the promotion of the Benchmark within the OIC community and beyond. 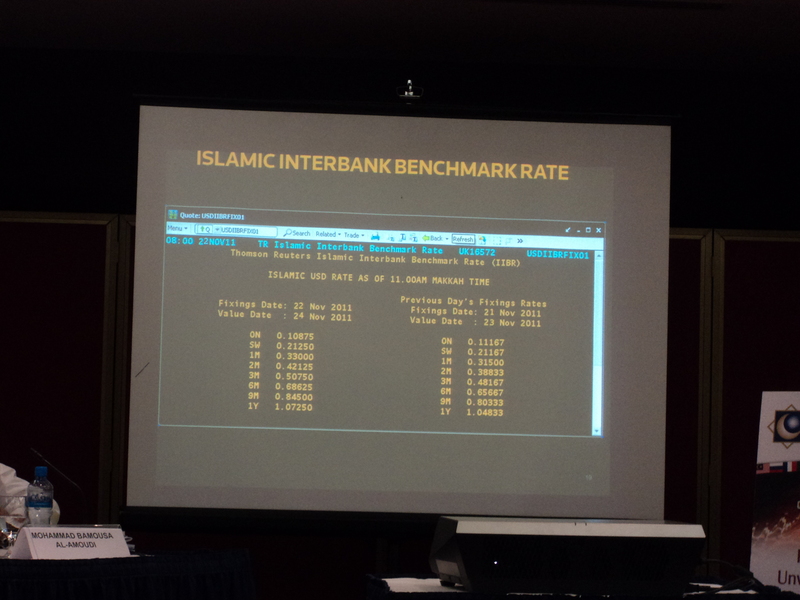 The new benchmark can be used to value a number of Islamic financial instruments including common overnight to short-term treasury investment and financing instruments such as Murabaha, Wakala and Mudaraba, retail financing instruments such as property and car finance, and sukuk and other Shariah-compliant fixed income instruments. It can also be used for the pricing and benchmarking of corporate finance and investment assets. “The launch of this indigenous Islamic benchmark will prove to be a major milestone in the growth and sustainability of the industry” said Mr. Hassan Demirhan, Director of Treasury Department at IDB. Mr. Khairul Nizam, Deputy Secretary General of the AAOIFI, said: “Given the support we have received from the industry globally, particularly the main Islamic banks which will contribute towards and utilise the rate, AAOIFI is proud to be associated with this initiative which will certainly be defined as an important milestone for the Islamic finance industry in years to come”. The launch of the IIBR quickly received substantial print and online coverage in the international press notably in the Wall Street Journal, Reuters and CNBC, and others such as The Asian Banker, London Stock Exchange, Nasdaq, Zawya, Gulf Daily News, Trade Arabia, Arab News, Business Intelligence Middle-East, Global Finance Magazine, Business Times (Malaysia), Deccan Herald (India), Business Recorder (Pakistan).